LeBron James reached another championship -- and once again fell short. 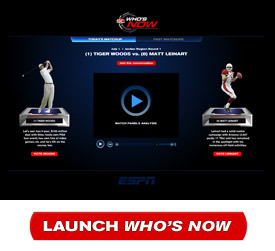 Tiger Woods easily defeated James in the final matchup of the Who's Now bracket, 65.1 percent to 34.9 percent. The fans have spoken.